MMA has never seen a more chaotic 24-hour run. 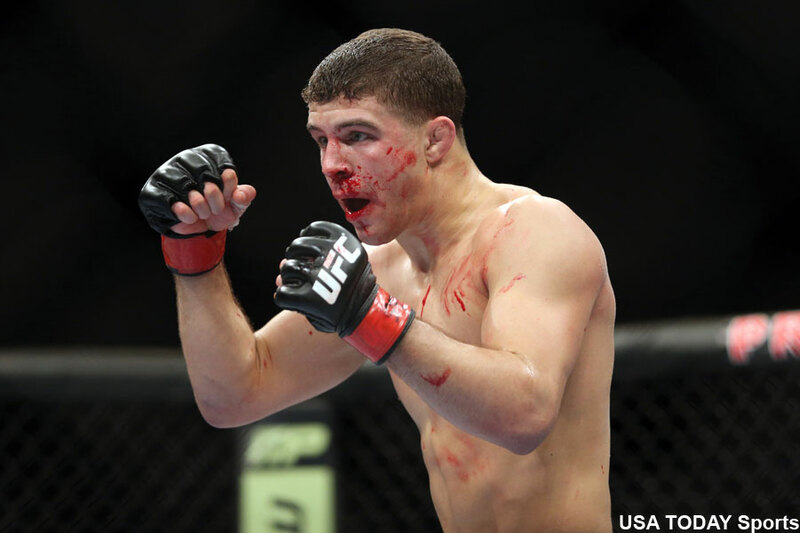 On Friday, it was announced Al Iaquinta (pictured) has agreed to face Khabib Nurmagomedov tomorrow at UFC 223. Iaquinta was slated to face Paul Felder in the event, but couldn’t pass on the opportunity to headline against the undefeated Russian. Nurmagomedov was supposed to face Max Holloway for the vacant lightweight title, but Holloway was pulled this morning after suffering complications from weight cutting. Holloway stepped in just six days ago after current interim lightweight champion Tony Ferguson was forced out with an injury. Now, here’s the kicker – Nurmagomedov will capture the lightweight crown if he’s victorious, but Iaquinta will not because he weighed in at 150.2 pounds, only .2 pounds over the limit for a lightweight title tilt, before it was announced Holloway had to bow out. Nurmagomedov clocked 154.5 pounds on the scale. The timing of this morning’s events is unfortunate for Iaquinta, but he agreed to the fight so let’s assume the UFC took care of him on the financial front. The realtor was literally a couple hours and .2 pounds away from getting his first UFC title shot. Due to the change in show’s main event, the UFC is offering customers a full ticket refund at the original point of purchase. It is unknown if Felder will be paid his show money since he was on weight today. Barclays Center in Brooklyn hosts tomorrow’s fights.